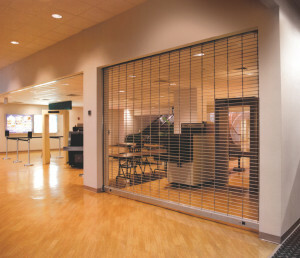 In Burnsville, Eagan and throughout the Twin Cities region, O&L Door Systems is a leading provider of service for, repairs to and installation of all types of commercial doors. This includes both coiling doors and fire doors — important components of many warehouses, manufacturing facilities and other industrial spaces. Get in touch with a representative today to learn more about what we can do for you. In a busy commercial facility, a coiling door should be able to deliver reliable, efficient performance, shift after shift. Coiling doors are known for their space-saving design and low maintenance requirements. However, if your door is sticking, squealing or otherwise working in an efficient or unsafe manner, it can quickly eat into your productivity and expose you to risk. O&L Door Systems can provide cost-effective service for all commercial coiling doors in Eagan and beyond. One call to our office is all it takes to have an authorized technician dispatched to your location. Our team is available around the clock to respond to your emergency service needs — give us a call, day or night, at the first sign of a problem. Often, prompt intervention is the best way to prevent a minor issue from becoming a major repair. Approved fire doors are a requirement in many commercial facilities. Having served the Twin Cities region for more than 20 years, O&L Door Systems has a deep familiarity with all local building code and other regulatory requirements. If you are replacing a fire door, or opening a new location, we can help ensure you have the right type of door in place. We also back up everything we do with expert service. While commercial fire doors don’t require much in the way of regular maintenance, they must remain in good working condition at all times for the sake of safety and compliance. We can put together a maintenance schedule that ensures these requirements are met. To learn more about our services or to request a quote for a new coiling or commercial fire door, get in touch with the experts at Burnsville’s O&L Door Systems today by phone or by using our online contact form.